Looking for a porous-point pen, and none of the standard ones are doing it for you? 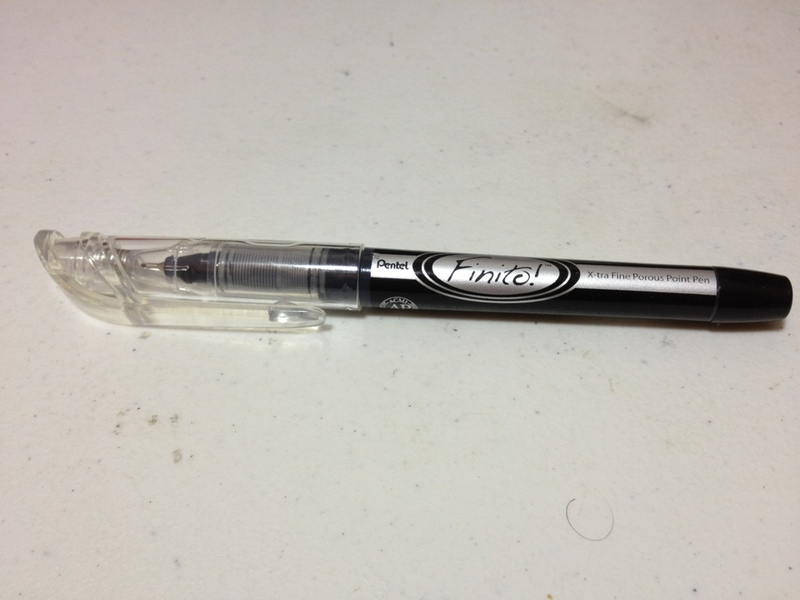 Maybe you might want to look at the Pentel Finito porous-point extra fine pen. The cap is all plastic, with a clip molded into it that does the job, but isn’t spectacular in any way. 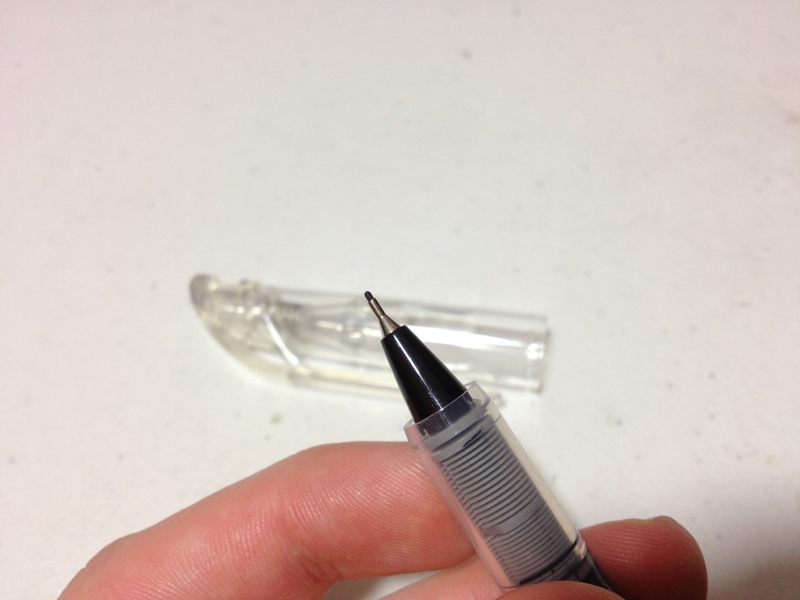 Inside is a small piece of plastic that covers the tip and is held in place by a spring, keeping a tight seal on the tip. This is visible through the clear plastic of the cap. The barrel is a black-covered plastic and has all necessary info on it. The grip section is clear and through it one can see the fins of the feed and a small bit of the ink reservoir. The grip section is very smooth and can easily become slippery. After a small bit of metal tapering, there is an extra-fine porous point at the end. The ink is fairly black, and fairly standard, not really permanent or fade-proof. The point does spew a lot of ink out: in fact, I would tend to call this pen a fine rather than an extra fine point due to the sheer amount of ink it leaves on the page. This makes the line considerably wider than just the point of the pen. This gushing also leads to points of bleed-through that are not seen in higher-quality porous point pens like Sharpies or Microns. Overall I’d say the Finito is a mediocre pen that has no purpose as an art supply. There are many pens out there that do what this pen does better, and for the same price. If you want a pen that gushes, or will not dry out for long periods of time this pen may be worth a look, but I’d try something else first. This entry was posted in Beginner Supplies, Utensils and tagged extra fine tip, felt tip, finito, pen, pentel, porous point, review by Dragon Co (Austin Smith). Bookmark the permalink.